Selling a home can be a challenging process no matter how many times you have done it before. Therefore, it is important that you have a qualified real estate professional on your team who can act as your advocate and make sure you get a fair deal for your property. What should you know before you put your home on the market to get an offer that you feel comfortable with? What Have Other Homes Recently Sold For? To get the most money for your home, you need to know about recent home sales in your area. If you see that a home with two bedrooms, two bathrooms and a deck just sold for $150,000, that is what you should aim for if your home also has these features. If your home had three bedrooms or three bathrooms, you may be able to get a little more for the house or less if it has fewer features. Homes that are closer to major highways may be worth slightly more than market value while homes by an airport or busy train tracks could be worth less due to the noise. In addition to looking at what other homes have sold for, it is important to understand how much your specific home is worth. An appraiser may take into account the square footage of the home and how many acres of land your lot has when determining the worth. Appraisers may also look at other factors such as the age of your roof, the quality of your HVAC system and any other variables that could impact its value. Whether or not you get what your home is actually worth depends on when you put it up for sale. Selling during a buyer's market could push a home's value down as there will be more supply than demand. This is especially true if you have to sell your home in a hurry for any reason. However, it is entirely possible for a home to be in demand even during a buyer's market depending on where it is located and other factors that may be unique to your transaction. 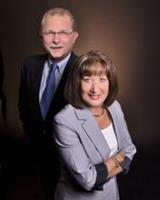 When you are ready to sell your home, contact Sharlene Woodis and Doug Katulich. They will provide excellent advice as to how to price your home, what you need to tell a potential buyer before closing and answer all of your questions. With their help, you can increase your odds of getting your ideal asking price in a timely manner.